Costs – See what other York, Pennsylvania residents have paid for tree removal, maintenance and stump removal services. FAQs – Read more on the local trees thriving in York, PA, along with fruit trees that grow well, current rules regarding maintenance by the city, pests to be aware of and the plant hardiness zone York falls under in the state. Services – Find the pro closest to your home and call today! How Much Do Tree Services Cost in York? When it comes to landscaping, many people are lucky to have large, beautiful trees and shrubs in their yards. The joy that trees bring, whether it’s a picnic or playing in the shade, to a rope swing or children climbing, is certainly priceless. However trees and all other large vegetation need to be maintained for their health and the safety of the families, as well as the homes they shelter. Some homeowners spend a minimum of $250 annually on tree removal. Most homeowners spend between $634 and $888 on tree removal in York, Pennsylvania. Few, if any, spend over $1380. Factors will include the girth of the tree, branches removal and proximity of the tree to power lines, the house and public right of ways like sidewalks and roads with traffic signals. For approximately two hours of labor, homeowners can expect to pay between $80 and $140 to have a large stump ground down. For a medium stump in the same amount of time, homeowners can expect to pay between $75 and $140. Trimming shrubs and trees is not simply about aesthetics in the short term. Trimming helps to sculpt vegetation for its future growth, maintaining a beautiful habitat and shaping the future of the trees and shrubs. It also helps prevent hazardous dead branches from falling under weather duress, and causing damage to the property. Prices will vary based on a number of factors, but the average homeowner spends between $300 and $432. A state whose name literally translates to “Penn’s Woods”, Pennsylvania is known for its trees. When Europeans first arrived in what would come to be Pennsylvania, they encountered a land of rich forests. These days, Pennsylvania’s trees are still celebrated and loved. In 1978, the National Christmas Tree was selected from the yard of a couple in York, Pennsylvania. A thirty foot tall Blue Spruce, it lived out the rest of its life in Washington D.C., lit each year by the First Family in celebration of Christmas. 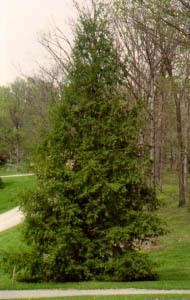 The state’s official tree is the Eastern hemlock, a coniferous pine that can reach heights of up to 173 feet. Pennsylvania’s forests, restored after early settler deforestation, are composed of some 134 native species and over 60 newly introduced. Some 60% of Pennsylvania is once again covered in forest, thanks to dedicated efforts to replant. When choosing which trees to plant and cultivate on a piece of land, there are a few things to consider above and beyond what the tree looks like. Firstly, remember that trees grow, and consider the space an adult tree will fill, not just the space a sapling fills now. Check for help selecting what trees will flourish in the planting location. 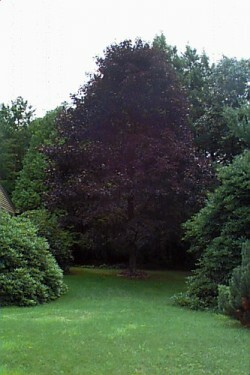 Other popular trees in the York, Pennsylvania area are varieties of oak and Norway maples. Both provide the potential for large, beautiful trees that are well suited for the climate. It is also possible to grow fruit trees in the area. Numerous varieties of apple, plum, and other orchard trees like pear grow well in Pennsylvania. These trees are both beautiful and produce delicious fruit in the fall. Though popular, the Bradford pear tree is one of the most difficult to maintain. Its branches tend to spread and break, requiring frequent maintenance. Aesthetics are also important, and so is choosing a variety of tree that will thrive in the climate and terrain available for planting. If a tree simply doesn’t get enough water or the right pH balance from the soil, it becomes a losing battle to keep the tree alive and thriving. When it comes to pruning and removing trees, it is not always possible to do things in your own time. For trees that have been damaged by lightning strikes, weather, or other factors, it is important to have the tree removed as soon as possible. After a branch or large trunk has fallen on your house or car is too late. For maintenance like pruning, it is important to wait until the warm weather has passed. Pruning and trimming is best done after the season’s growth is over. This way, the tree is not overly stressed, and dead or weak growth is removed before the cold weather sets in and Winter storms turn trees into a hazard. York, Pennsylvania requires the timely removal and cleanup of tree branches and debris by the homeowner, to maintain safety for all. Many tree removal companies will arrange to take the wood, or even chop it up for the homeowner’s use as firewood. It is a landowner’s responsibility to ensure a tree does not interfere with power and phone lines. It is also more dangerous and expensive to maintain trees that need to be cut around power lines. Trees grow out as well as up, and any tree that is too close to a house or other structure may end up lopsided when branches need to be pruned on one side and not the other. In addition to weather or human-caused damage, there are a few diseases known to cause major issues for arborists in Pennsylvania. Beech bark disease causes the needles of hemlock to turn brown and fall off in the summer. It can be treated by trimming off the affected branches. Sudden oak death is a problem discovered in 1995, which affects not just oak but huckleberry, bay laurel, madrone, bigleaf maple, and others. It forms cankers on the tree stems, and once the infection has taken hold, trees die within a year or so, often oozing black or reddish material. Thousand cankers disease is caused in Eastern black walnut by a tiny boring beetle which allows fungal infection. Yellowing foliage is eventually followed by parts of the tree dying. Similarly, beech bark disease is also caused by a boring beetle which allows fungal infection. Symptoms include a waxy white crust, beneath which the insects live and lay eggs.